Who is this guy!? His album turned up last week in my inbox and has been in regular rotation ever since. My experience with musicians from Egypt is non-existent so you'll have to bear with me as I try to keep up with Nour's sound design. There is something which happens when electronic music comes out of the East that I can't quite explain... Idlefon was the first example of it for me and now Fawzi has gone even further outside the lines with his own maddeningly detailed take on environmental compositions. When I say environmental, I mean the whole ball of wax: setting, pacing, narrative, atmospheres; this is a film noir for the senses. He has no set agenda when it comes to beats, effects or production. Does it fit the requirement for this particular passage? Then it's in. No thought is given to preconceptions or the whims of popular opinion, Nour has created his own little diorama. We're given a headlong crash course in rhythmic workouts which morph into slow burning meditations... the small hours yet again get a solid depiction. No one's about here, just that one lone heartbeat underneath the looming skies of early morning. In his case, he ups the ante with some wonderful jazz influences. The solitary notes give way to elegant progressions which define the word mysterious. Like smoke slowly rising from a fire off in the distance, the lazy curls of acrid scent reach one's person and draw them in; closer and closer we go. Can one say where the mirage begins and reality ends? Out here where thoughts become the measure of mountains it's enough to just try and maintain your bearings. I have no doubt that our composer is more than pleased to just let whatever questions his listeners have remain hanging in the air, never to be fully explained away. Night falls and the stars come out, but as daylight nears and thick fog covers the landscape how does one know what is real and what is only an inference. 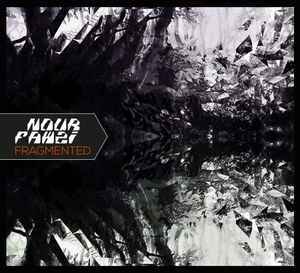 'Fragmented' will catch you off balance and never allow you time to recover, the sheer amount of clashing influences floor me. He's put just about all he can into each track on here; a sultry companion for those quiet thoughts you keep bottled up in your head. What is within which you'd never admit to anyone else you can reveal in this place. A very pleasurable place to get lost in; drown your senses in luxuriant excess for a while, you may come to feel at home nowhere else. If you like FSOL's ISDN and dead cities you check out this one!